When it comes to doing research ahead of a trip, I’d award myself a solid B-minus. I have an idea of what the big ticket items are in a given place, but I don’t really read up on why they’re important (and sometimes I miss the obvious stuff, too). So there have been a few times when I’m completely gobsmacked. The first time was at La Sagrada Familia in Barcelona. 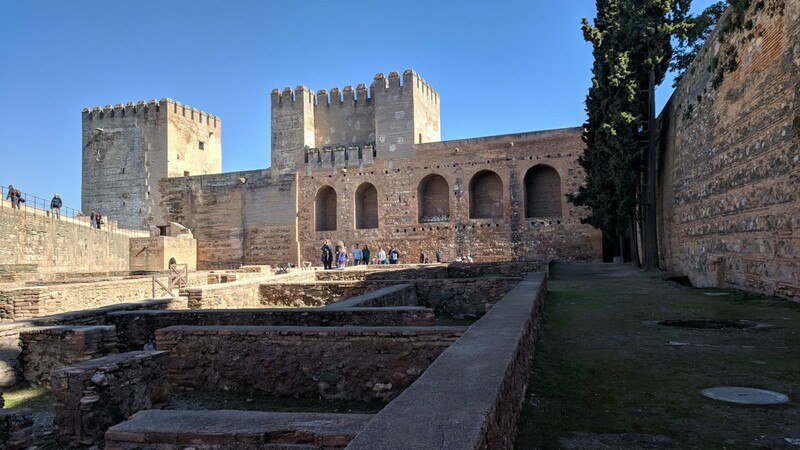 The second time was at La Alhambra in Granada. I had no clue what to expect. 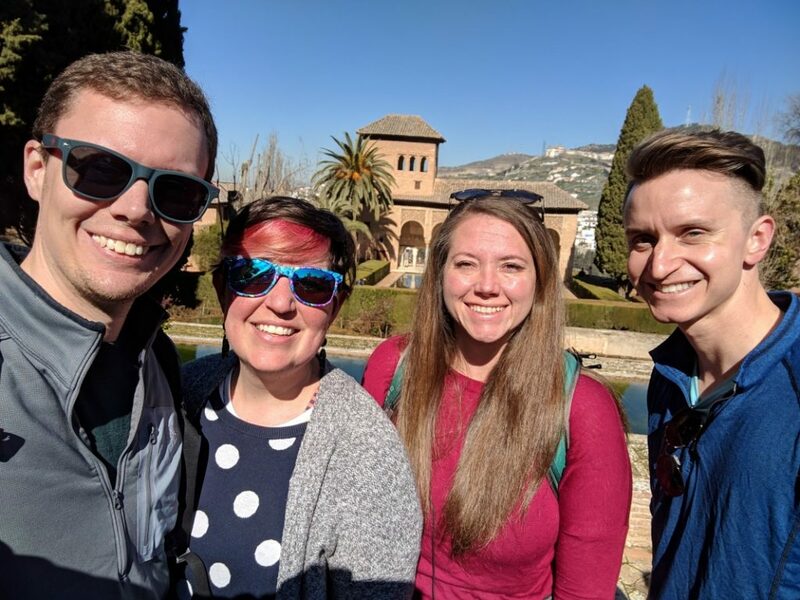 We’d purchased our Alhambra tickets at the last-minute, since we didn’t realize it’s the second-most visited attraction in Spain (behind — you guessed it — La Sagrada Familia…臘‍♀️). 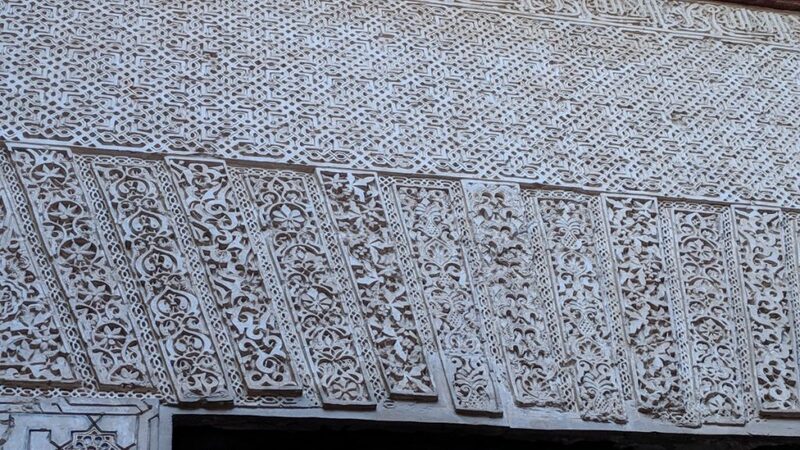 I was so clueless, I took a photo of a tiny gift shop because it had intricate patterns engraved on its facade. 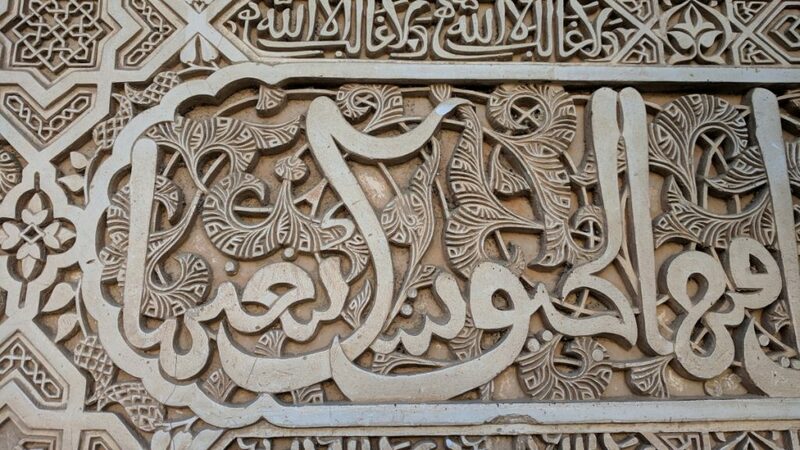 The Alhambra is famous because it’s a WHOLE PALACE COMPLEX FAMOUS FOR INTRICATE FACADES. 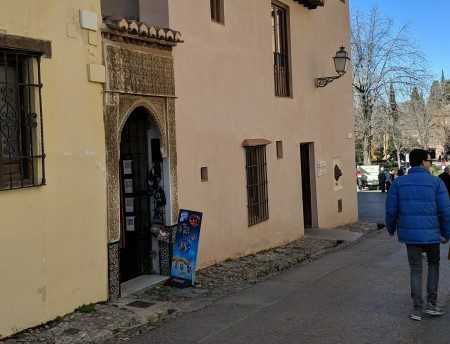 So basically, you’ve chosen to follow a travel blogger who can occasionally be very, very thick errr flies by the seat of her pants ummmm… who can write about these experiences as if discovering them for the first time! 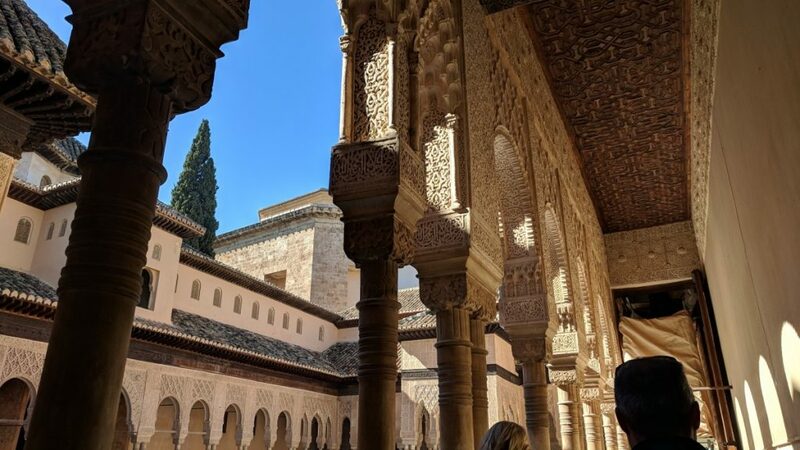 There’s not much else to say about La Alhambra, you have to see it in person. (The photo I posted to instagram has surfaced so many people who have visited and still gush about how amazing it was.) 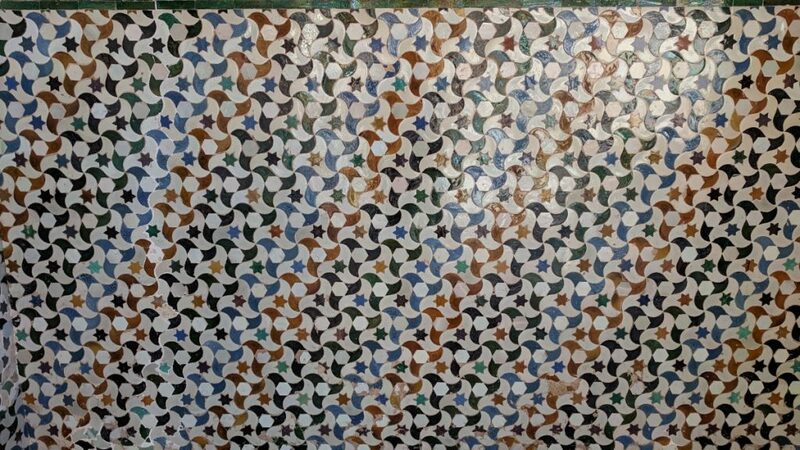 The designs and patterns, and just the sheer scale of everything, blows your freakin mind. I had literal jaw-drop “OMG” moments. Fully worth the 15€ price tag (and we only saw the main stuff — there are acres of the grounds we didn’t have time to explore!). A few photos below, which of course don’t do it justice. 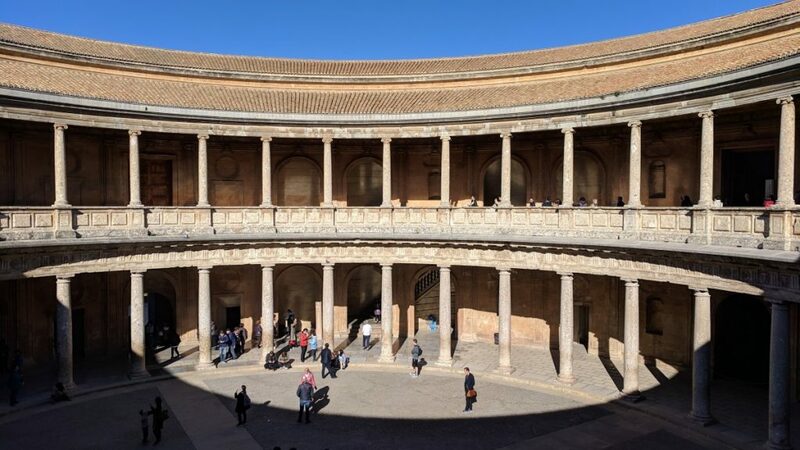 If you ever find yourself in central-ish Spain, get thee to La Alhambra!